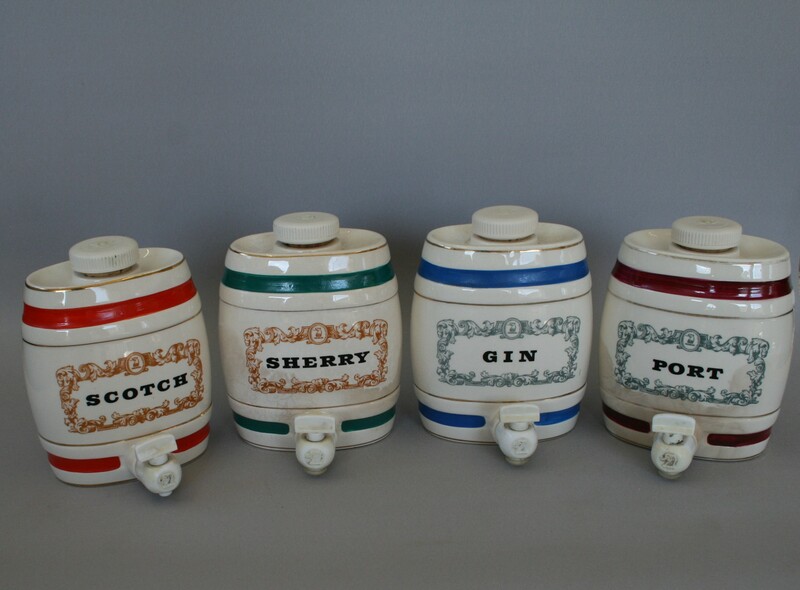 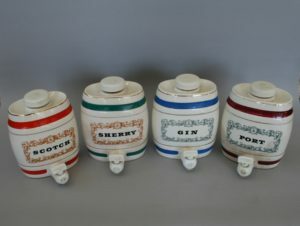 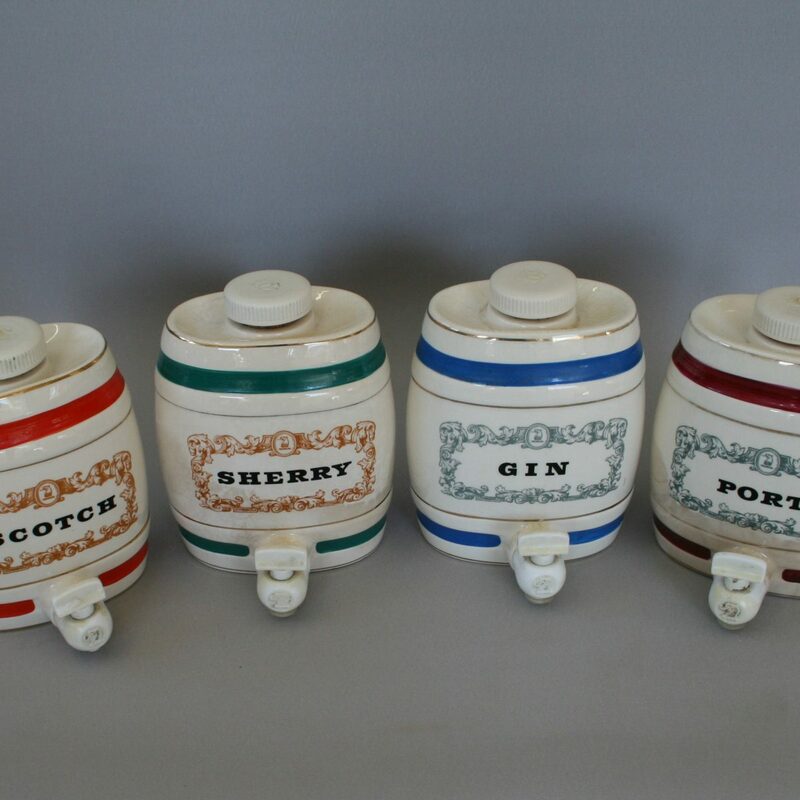 A set of Four Royal Victoria pottery barrels for spirits. 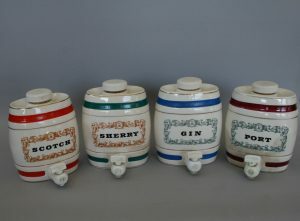 They consist of Sherry, Gin, Port and Scotch. 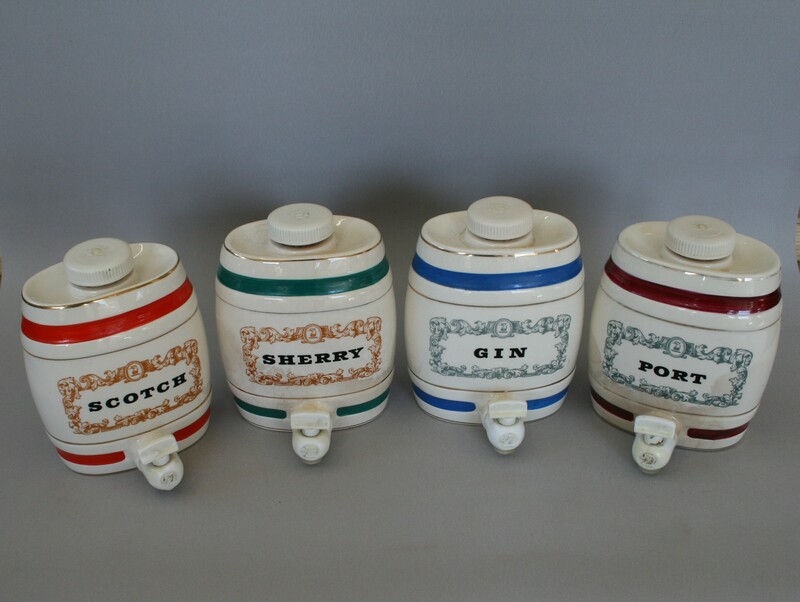 Each has a different coloured stripe to the base and top and have a small tap to the base.